April Fool's time at Google. 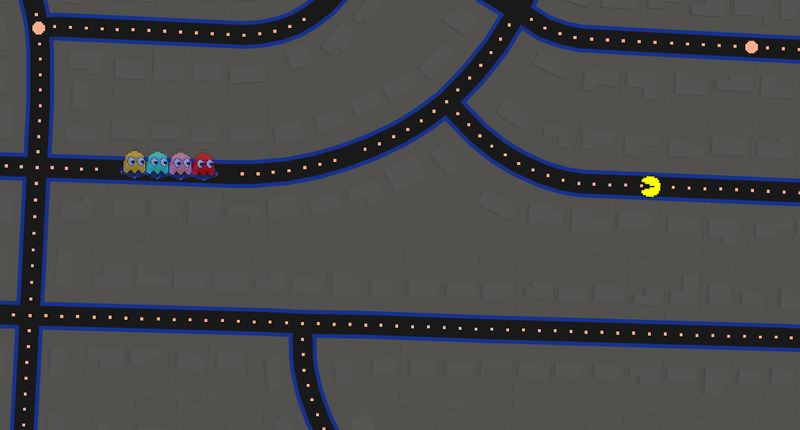 You can play the vintage Pac-Man game on your city's streets, just visit Google Maps and click on the Pac-Man square at the bottom left of the screen. Just don't plan on much productivity today.